In the first work of Formal Eisenman The Formal Basis of Modern Architecture, his doctoral thesis, begins as there began Jacobs in The Rise and Fall of Great American Cities, or Venturi in Complexity and Contradiction in Architecture, with a critique to the Modern Movement. It can be said that the alternative pressure of the decade of the 60, they need of any author that it boasts, of an initial positioning against the past, in this case the Modern Movement. Such it is the spirit of change. Criticizing two fundamental concepts of the Modern Movement, Eisenman affects in the critique to the Modern Movement as everything, a set of ideas without theoretical base, without logical thought. Before this question Eisenman it proposes to develop his dissertation of an essentially critical way, more than historical, developing certain propositions relating to the form of the architecture in theoretical and not historical, analytical sense, more than interpretive. The author especially criticizes the ingenuous points of view that on the Modern Movement have certain authors who emphasize the iconographic thing and the perceptive thing, product of the sophistication to which there has come the history of the art and the advances in perceptive psychology, becoming discredited this way to Talbot Hamlin and his Forms and Functions of Twentieth Century Architecture, or the work in history of the art, of the Warburg Institute to the one that criticizes the excessive growth of questions related to the iconographic thing and the importance, according to this school, which these have for the creation of an architectural style in any historical specific situation. Equally it criticizes the exponents of the Gestalt Psichology for having constructed a climate of sensibility in which any thing that concerns a work of art, as something experienced by the eye, must be analyzed. Eisenman is obvious here overwhelmed by an academic environment paralyzed to the one that does not see too many virtues in relation to what already it is going on in the company. His work of investigation in the shape of doctoral thesis, is going to turn into an attempt, very fruitful to tenor of the produced into the future to theoretical level for the author, of constructing a conceptual body, an arsenal of arguments more structured in the discursive thing from the architecture, and not from the history of the art or the psychology. We owe a body of thought that without rejecting historical, psychological considerations and hereinafter in his career as theoretical, philosophical or relative to the area of the science, is capable of constructing a complete conceptual structure of the architecture, from the field of the own architecture, something like movement of the 80s in the painting, in which painting – painting was done, the author to Eisenman it bases a critique of the architecture – architecture, from the architecture, on the architecture, with the architecture, towards the architecture, for the architecture. In other words, Eisenman is ready to construct a theoretical body from the own architecture and nothing more. For the author the development of his argumentation is structured from conceptual questions in the sense in which the idea of form is considered to be a problem of logical consistency or in other words as a logical interaction of formal concepts. The argument of his work of investigation is going to establish that it targets these considerations of nature they can provide conceptual the formal bases of any architecture. Eisenman tries to go beyond that the work of two authors on whom they agree his argumentations. On the one hand there is John Summerson and the conference given in the RIBA-Royal Institute of British Architects – in May, 1957 with the title The Case for a Theory of Moderns Architecture,3 in the one that principally holds that the basic beginning of the architecture is the unit derived from the program, that is to say of the social sphere of the architecture. Equally Summerson holds that to lay the foundations theoretical of the architecture is necessary to raise a system, a discipline that he guides to the architect across the arrangement of the architectural forms that are filed. Eisenman proposes equally a system, an intellectual construction to put order in the formal bases of the architecture, but it will reject the notion of unit from the program for considering this point of item too related to the history, and with the social own context of the historical moment. On the other hand Eisenman fixes in different Banham of the points of item to overcoming. On the one hand it coincides with Banham and his famous Theory and Design in the First Machine Age4 about the idea of change, and therefore it coincides with the diagnosis to an epoch. Nevertheless it differs from Banham on the idea of denying any possibility of establishing any beginning based on the consideration of the form. Banham questions the validity of the equation of Le Corbusier of the rules of the solid filebianos in relation with the beginning that govern the universe, so for him, any system referred to the solid regular ones or symbolic forms are the mere resurrection of a dead language. Eisenman, by contrast, proposes to clarify the relations of the form with the architecture by means of an understandable system. But for the author to put in foot this formal language is sufficient for yes same. Eisenman aspires to the construction and development of a system, of a conceptual structure that allows him to raise such a language. Eisenman’s final ambition in this investigation and in a dominant way along all his professional career it is the configuration of a system of thought capable of explaining the infinite variations and the complexity of the formal language of the architecture. 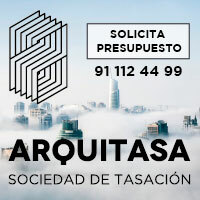 This system qualifies and arranges the vocabulary of the form inside the process of design. The system provides a discipline, more that not a limit and it allows to reject the arbitrary thing, the picturesque thing and the romantic thing, leaving aside the subjective and personal interpretation of order. In other words Eisenman he needs from the rigorous, systematic order, from the lucid and strict analysis to structure a complex formal cosmogonía derived from the geometric implicit references in the properties of the form. It might be said that Eisenman inaugurates this way a strictly formal conception of the architectural form, or said differently, Eisenman develops a way systematized of analyzing the geometric essence of the architectural form for the production of a vocabulary, a syntax and a formal grammar of the architecture. Actually the value of Eisenman’s thesis does not take root so much in the production of the bases of the form of the modern architecture, as there prays the title of his thesis, but in the development of the conceptual structures that allow him to come up to these bases, that is to say the method more than the result, so that it gives birth an own way of understanding the architecture across a systematic process of analysis of the geometry as the only trustworthy vehicle to understand the architecture. The false modesty of the latter introductory words actually what they expose is the last ambition of the author, the foundation of a theory of the architectural form. To tenor of the fruitful results of Eisenman’s educational, professional and intellectual career, we can affirm that the systematizing of the analysis of the forms from geometric parameters for the development of the theory in question, has given really his fruits. 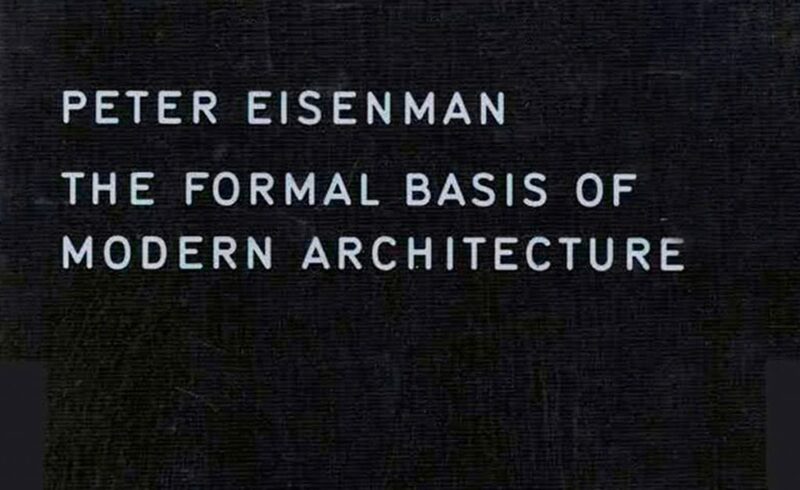 1 EISENMAN, Peter, The Formal Basis of Modern Architecture, Published originally as doctoral thesis for the Trinity College of the University of Cambridge in August, 1963 and later re-edited in Lars Müller Publishers, Gully made by rainwater, 2006. 4 BANHAM, Reyner, Theory and Design in the First Machine Age, The Architectural Press, Londres, 1960.